The indictment, charging him with hacking one password, may seem like good news; in fact, it’s an attack on investigative journalism. Julian Assange’s strange seven-year residence in Ecuador’s London embassy has ended, and Assange, thanks to the American president he helped elect, is now in British custody facing a US extradition request. The question now is what the freshly unsealed Trump Justice Department indictment against him means, and doesn’t mean—for Assange, for the British courts, which must decide whether to hand him over, and for American press freedom. 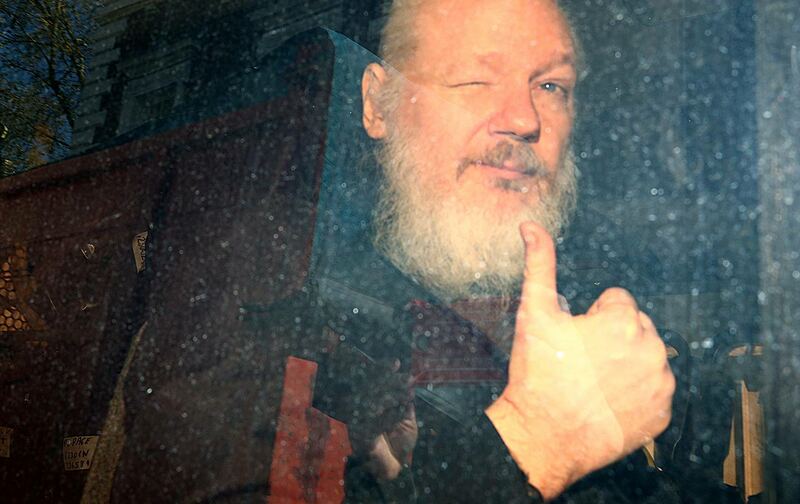 Compared with the worst that Assange and his supporters have always feared—black-hooded rendition, indictment under the Espionage Act, the death penalty—the indictment, filed under seal in 2017, may seem like good news. It’s brief—six pages. He is accused of conspiring with Chelsea Manning to hack one password on a classified government database. There’s no criminal allegation of spying, nothing touching Russia or the DNC, no broader list of WikiLeaks co-conspirators. As for punishment, while hacking a government password is a felony, the charge carries a maximum prison term of five years—less time than Assange’s voluntary confinement in his diplomatic London quarters. This is a narrow offense. It also separates Assange, at least on technical grounds, from journalists who receive leaked material but who don’t directly participate in extracting secret files. It’s the difference between The New York Times’ Neil Sheehan receiving the photocopied Pentagon Papers from Daniel Ellsberg, and a reporter actively breaking into a government office with a crowbar to yank the papers from their drawers. In the digital realm, that difference has sometimes tripped up journalists before Assange: In my journalism-ethics class every year, we examine the troubling, and ultimately tragic, case of a Cincinnati Enquirer reporter who in 1998 torpedoed an otherwise-brilliant investigative series on the Chiquita corporation by repeatedly hacking into that massively corrupt company’s voicemail system. That single illegal act gave an opening for Chiquita to successfully demand that the Enquirer un-publish and renounce the entire series, and it allowed prosecutors to threaten a criminal charge to force the reporter to name his source. I suspect some reporters and some press-freedom advocates will see Assange’s direct involvement in password-hacking as grounds to walk away from the case. The man violated journalistic norms, goes the argument—and whether his hacking counts as misguided narcissism or a principled act of civil disobedience, it’s no longer about freedom of the press. Yet read that six-page indictment more closely, and the alarm bells should sound afresh. Here’s why: Assange and Manning are not just being charged with a simple act of hacking. The indictment explicitly describes Assange’s password hack as part of a broader WikiLeaks conspiracy to “publicly disseminate the information on its website.” The indictment takes note of WikiLeaks’ use of a cloud-based dropbox for confidential document dumps. MANNING: After this upload, that’s all I really have got left. ASSANGE: Curious eyes never run dry in my experience. There’s the rub. By actively hacking a password, Assange may have committed a crime. But “conspiring” to disseminate leaked information is something countless reporters do every day. Cloud-based confidential document dumps and other security measures specified in the indictment are now staples of investigative reporting, discussed openly at conferences and advertised on muckraking websites. Most significantly: Cajoling, encouraging, wheedling, and nurturing sources who have access to secret information is at the heart of independent journalism. What we have in the Assange indictment, in other words, is a narrow but still-consequential attack on the practice of investigative journalism. The same attack is evident in another aspect of this case that has received too little attention: the jailing of Chelsea Manning for her refusal to cooperate with this investigation. From the scope of today’s indictment, it’s clear that the Justice Department sought Manning’s cooperation in building their conspiracy case. In the long history of American prosecutors seeking to compel testimony from reporters, I cannot think of another case in which a source has volunteered to go to jail to protect a publisher. Manning is an individual of exceptional courage and integrity, who deserves respect and defense from any reporter who’s ever been passed a file folder or flash drive. Julian Assange remains a confounding, contradictory character. But this indictment has nothing to do his atrocious political judgment in 2016, his unreasonable expectations as a guest of the Ecuadoreans, or the sometimes-debatable ethical standards guiding WikiLeaks’ editorial decisions. You can even argue that in stepping over the publishing line from receiving leaks to active hacking, Assange jeopardized Manning and WikiLeaks itself. But this indictment raises far more consequential questions, especially coming from an administration already committed to attacking press freedom on multiple fronts. In that context, this is a politically motivated prosecution. 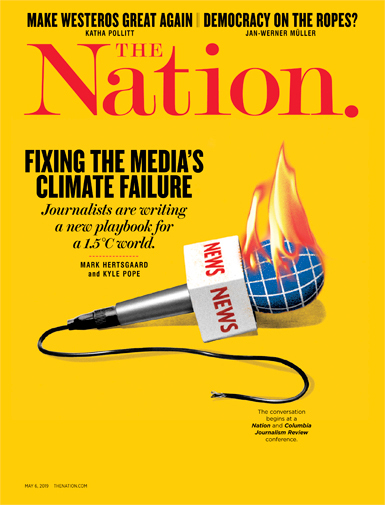 At bottom, it is about whether investigative journalists and publishers, from little community news outlets to transnational publishing platforms, enjoy First Amendment protection in their relationships with confidential sources. It is, in other words, about the future vigor of investigative reporting.